My name is Tess Homan. 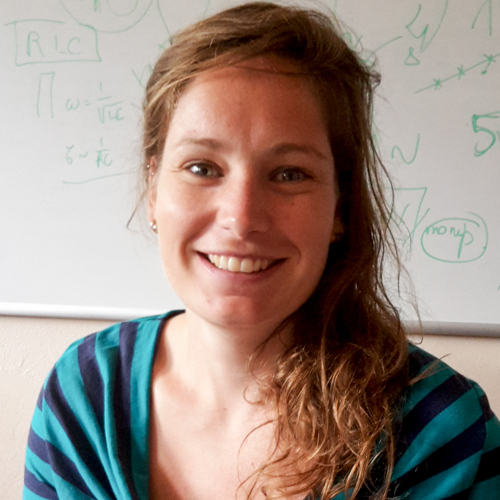 I currently work as an assistent professor at the Department of Mechanical Engineering in the Multiphase and Reactive Flows group of prof. dr. ir. Niels Deen, Eindhoven University of Technology. On this website you will find some of the projects I worked on in the past. 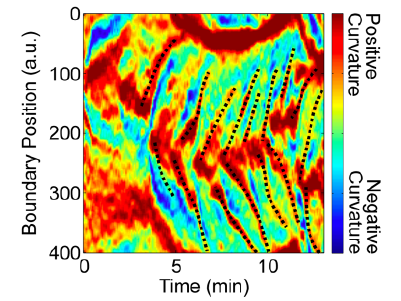 With a Fourier-based analysis it is possible to determine ensemble averages of the cell size in biological tissues, both in 2D and for 3D image stacks. Using generated images we analyzed valuable criteria for image acquisition settings to optimize accuracy. 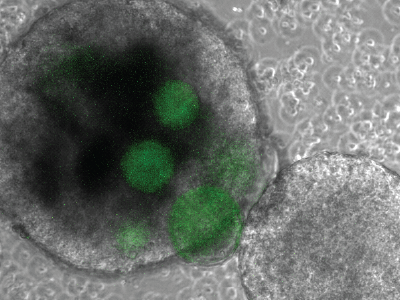 Now that human cardiac cells can be produced from pluripotent stem cells (coming from blood or skin cells) a fast and easy way to analyze the beating patterns is needed. Our software finds arrhythmias and other anomalies from low time resolution movies. The structure and distribution of sacromeres in cardiomyocytes play an essential role in the contraction efficiency of the heart. 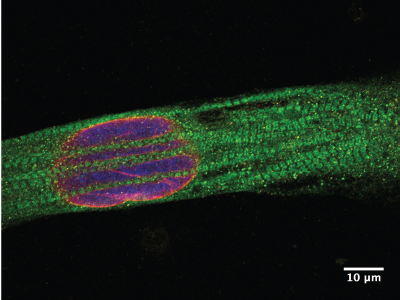 From fluorescent microscope images we can automatically detect parameters that separate cells from heart-patients and cells from healthy people. 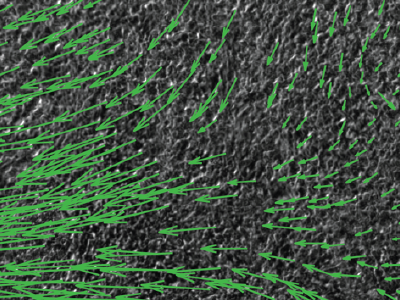 Mechanical forces play a fundamental role in the development of tissues, such as during embryogenesis. 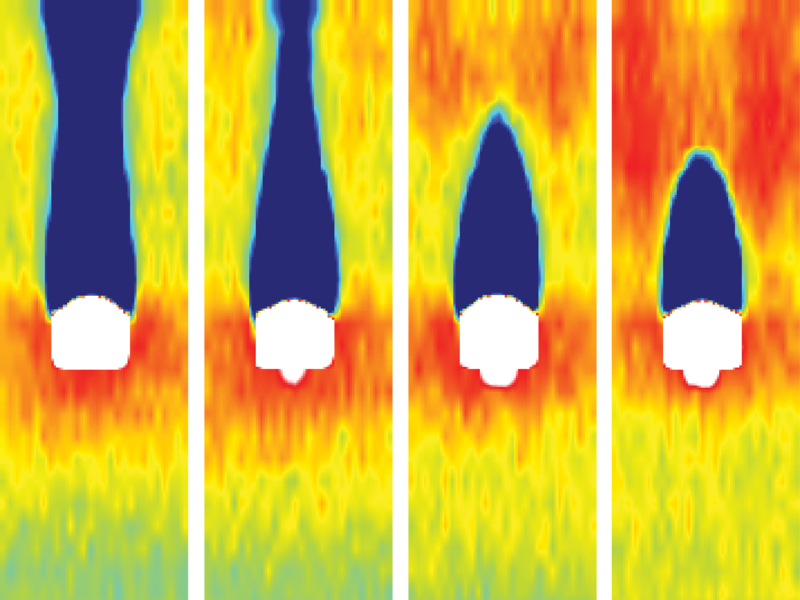 We use soft probes to calculate the stresses inside MultiCellular Aggregates. 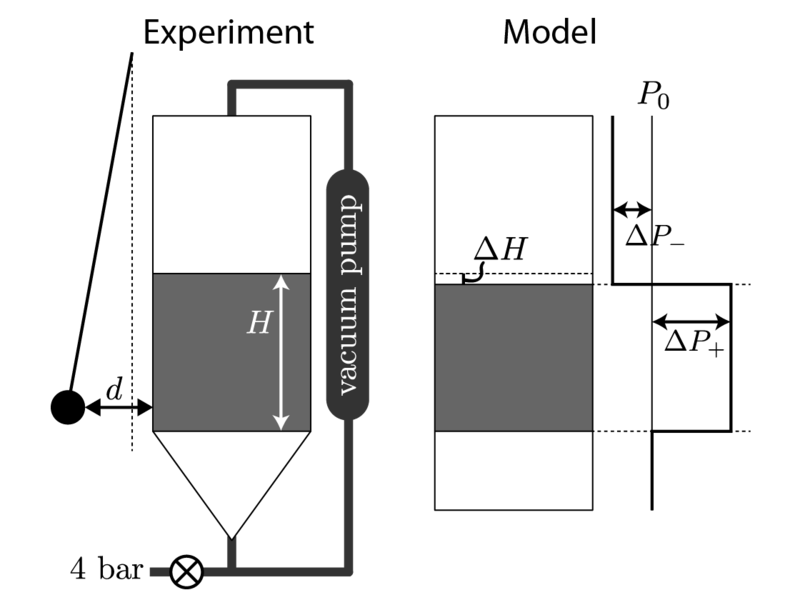 By continuousy injecting air into a granular bed, particles are lifted from the bed and mixed with the liquid above. If the suspended particles are heavier than the surrounding liquid they will settle back onto the bed. Because of the continuous ejection of particles an equilibrium will form. 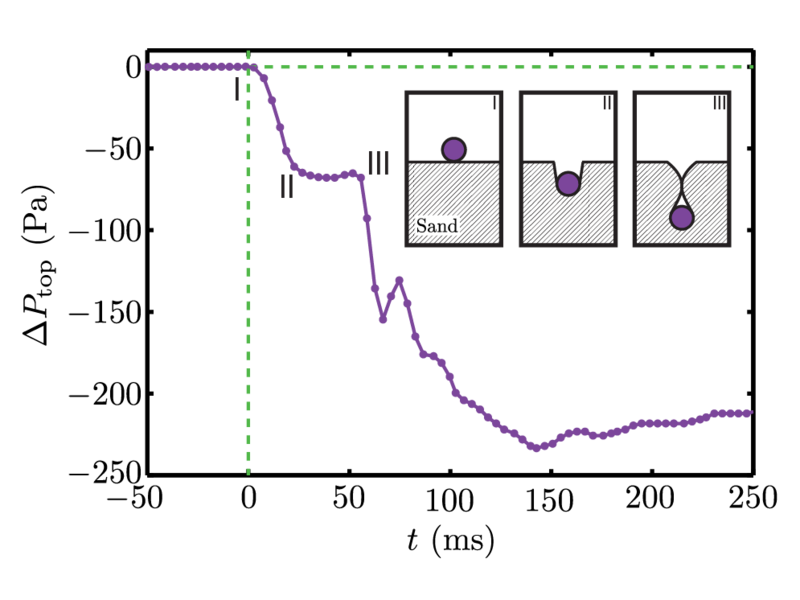 Using a smart particle we perform direct acceleration measurements of a ball impacting on sand. 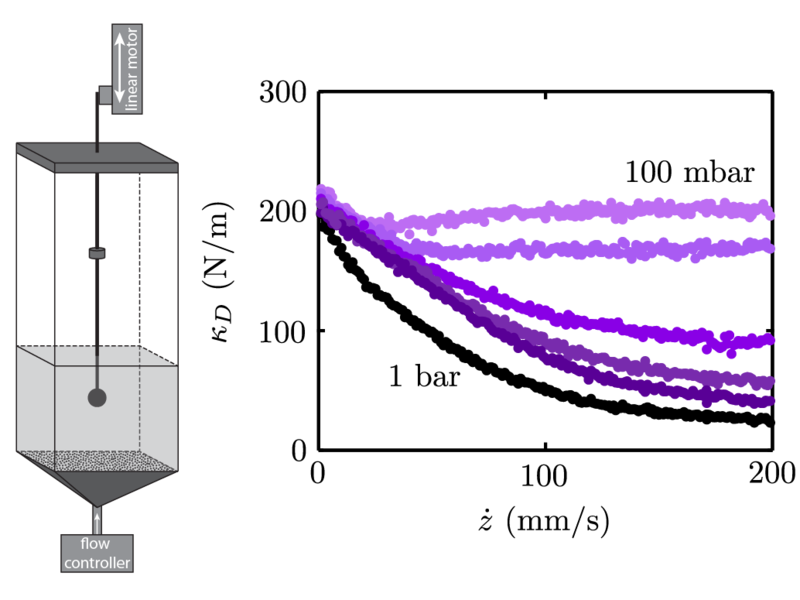 We find detailed dynamics that cannot be seen in the position data such as, a downward acceleration due to the cavity collapse and the influence of interstitial air on the bed compressibility. 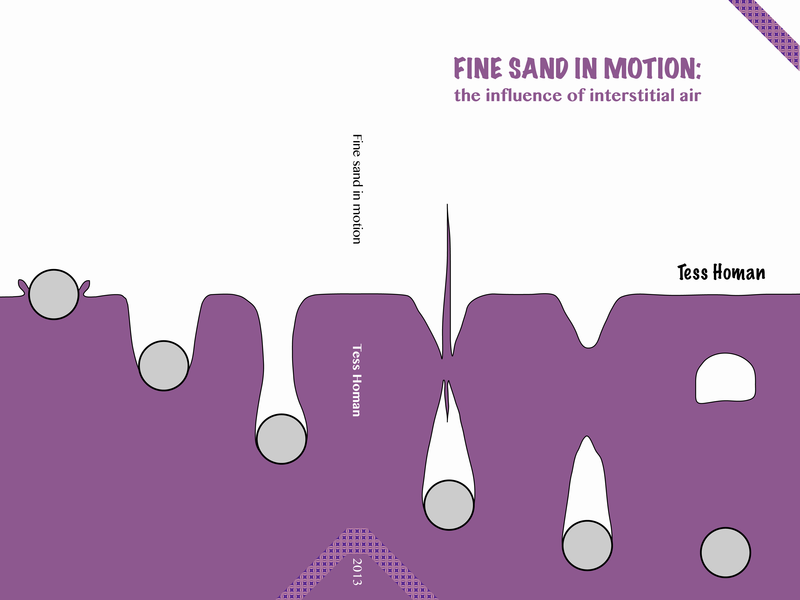 I did my PhD under supervision of Devaraj van der Meer and Detlef Lohse in the physics of fluids group at the university of Twente, on the influence of interstitial air on the movement of fine sand. Here you can find a pdf of my thesis and the photos of the defense. The force that needs to be exerted to push a ball into a loose granular bed is lower when there is air present inside the bed. Pressurized, trapped air in front of the ball reduces the experienced drag. 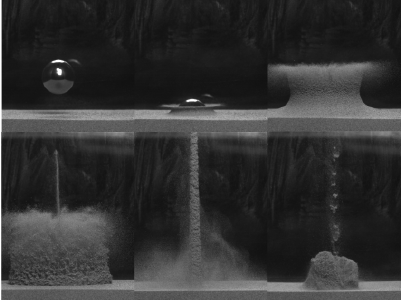 The air pressure in the volumes above and below a loose granular bed is recorded during the impact of a metal ball. Air gets trapped inside a region of compressed sand around the ball, temporarily lowering the pressure above the bed. As soon as an object hits the side wall of a container filled with very loose sand, the sand bed collapses. The amount the bed level changes decreases when the air pressure is lower. This indicates that interstitial air has a lubricating effect on the friction between grains. 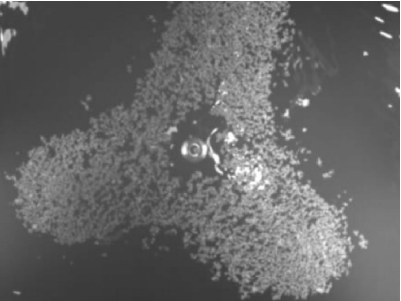 Using an X-ray tomography system it is possible to "see" what happens inside a granular bed after the impact of an object. 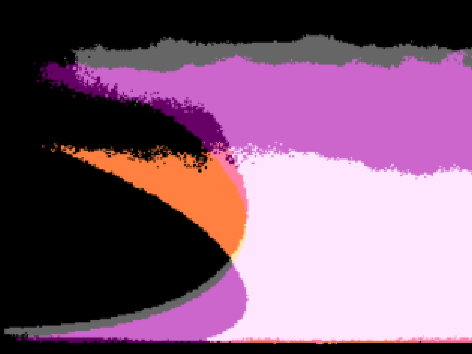 Different analyzation techniques give a reconstruction of the air cavity, the shape of the air bubble and the density changes in the sand. 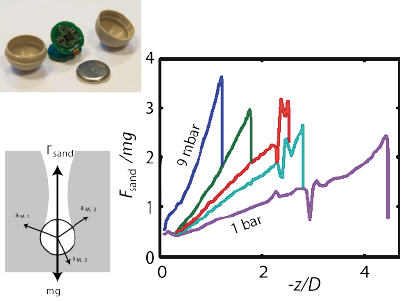 If a metal ball impacts on fine, very loose sand, the bed behaves fluid like and the ball sinks into the bed. As soon as the cavity that is created behind the ball collapses a jet is created that rises above the bed surface. When food is getting scarce a group of the single cellular organism Dictyostelium agglomerates. 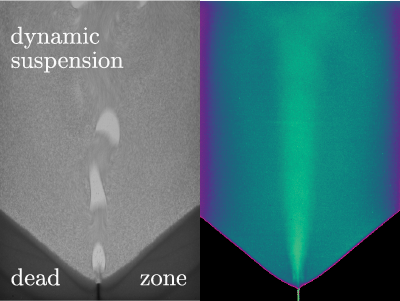 During my internship at the group of Wolfgang Losert at the university of Maryland I tracked the boundary movement of a Dicty cell to find the protrusions and retractions. 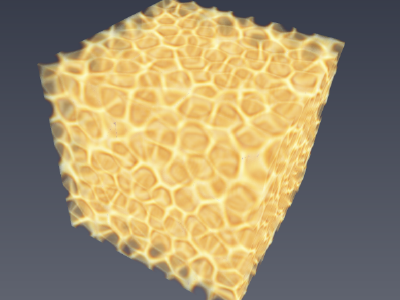 During an internship in the group of Tomas Bohr at the technical university of Denmark I investigated the formation and surface flow of a rotating polygon on a water surface. The shape of the splash that forms after the impact of a ball on sand depends on the ambient pressure. When air is present, the splash becomes more vertical due to the suction of air flowing into the cavity created behind the ball.